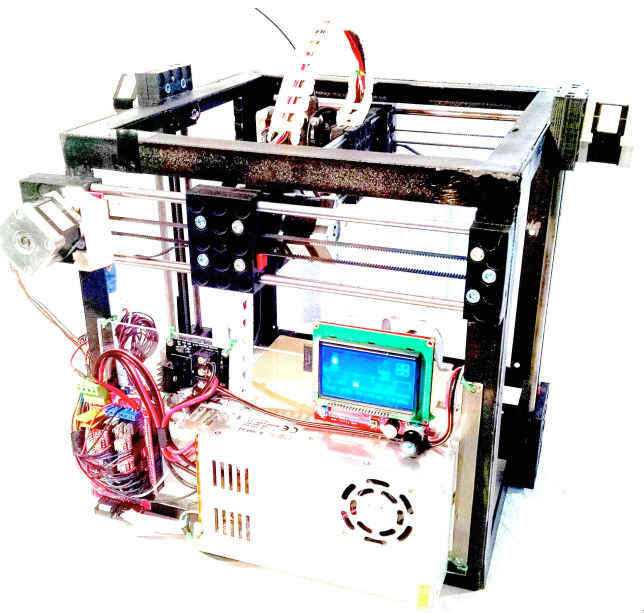 Join a workshop with Open Source Ecology where you will build and calibrate your own 3D Printer in one day, while also learning how to generate 3D printing files in FreeCAD. * The extruder can use both small nozzles and large nozzles (1.2mm size) for 10x faster printing. ** Quick Connect allows the use of other toolheads (note: not included in this workshop, e.g. 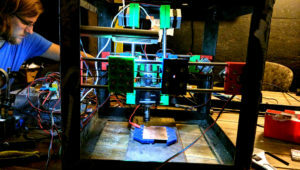 a laser cutter or CNC circuit mill head) in the same motion system. 2 for 1 offer: bring a friend with you for free to assist with your build. The same axis module can be used in the x,y, and z directions – to create the x-y-z motion system. Using this Universal Axis and taking advantage of the Construction Set approach, we have already built an open source CNC circuit mill. We reconfigured the axes compared to our 3D printer, and added a small router. 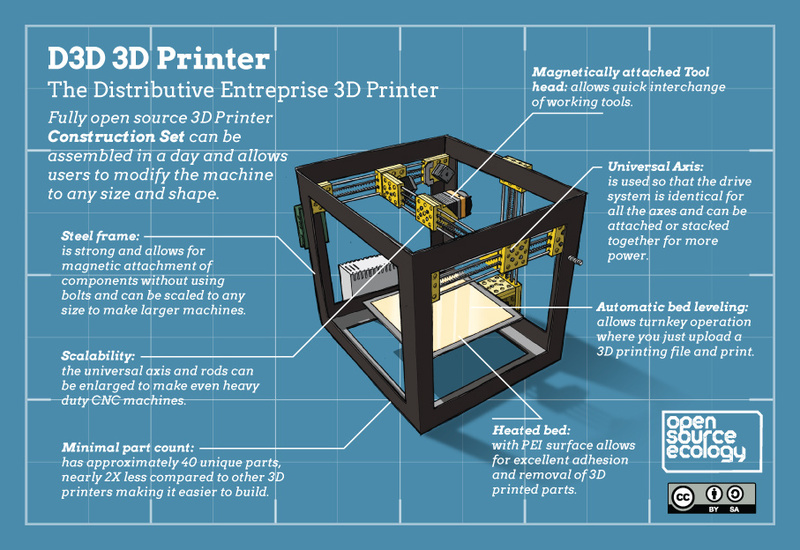 Some may say that this is already happening – but 3D printing and distributed manufacturing has not taken much of a hold in terms of replacing consumer goods. The key is high quality, proven designs – not fringe items on 3D printing websites that in many cases cannot even be printed. The key is engaging enough cooperation – that all the possible products truly become best-in-class – while remaining fully open source. We not only show you that this new mindset is possible – but how to build the actual production tools – and how to leverage massive collaborative development processes – so that we democratize product development on the face of this earth. Note: the registration is for the 3D printer build for those who would like to build a 3D printer to take home with them. Otherwise, the Eco-Media Arts Festival event is free.